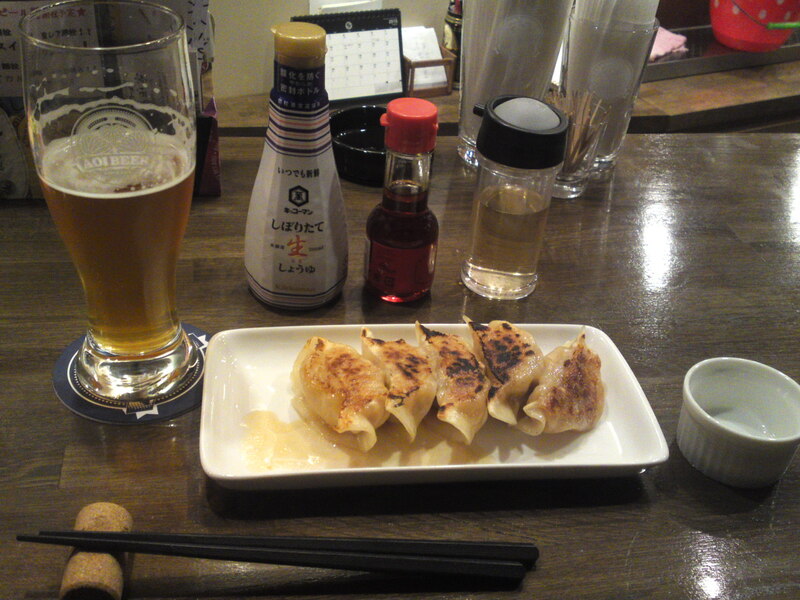 Chinese Gastronomy: Lamb Gyoza (dumplings) at AOI BEER STAND, Shizuoka City! Equipment & Facilities: Very clean overall. Superb washroom shared inside Den Bill Bldg. Strong points: Craft beer only. Home-made sausages! The other I had the occasion to sample yet another of Ryousuke Ono/大野良輔さん’s creations! 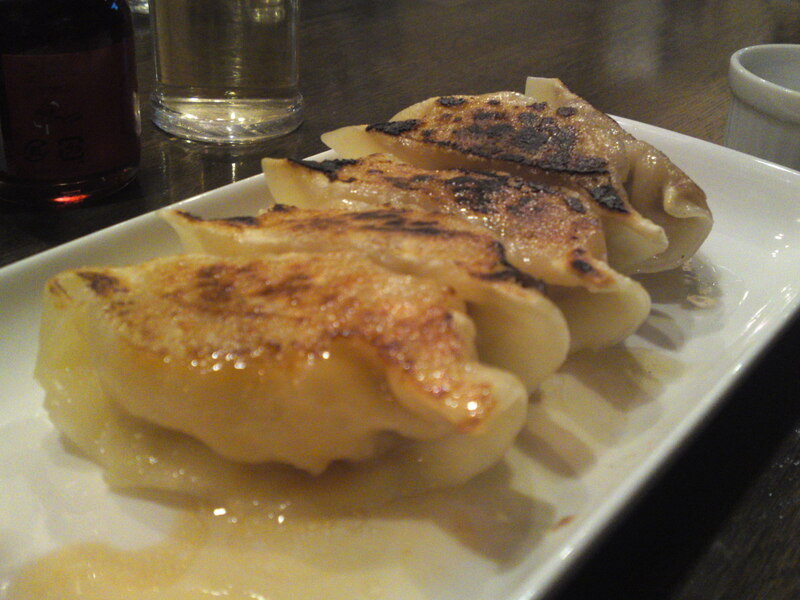 Gyoza is the Japanese version of Chinese dumplings either fried or boiled. 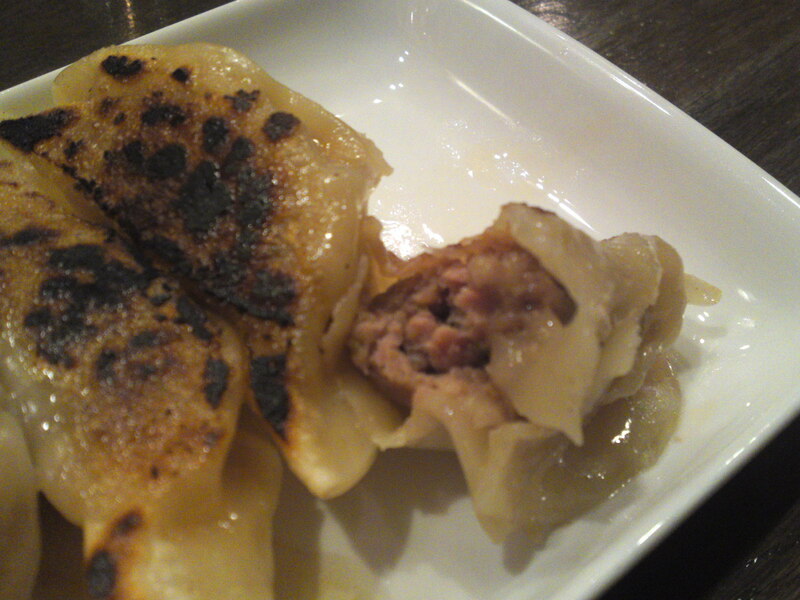 The difference is that the meat inside contains lamb instead of pork with leeks, celery, Chinese cabbage among others! Again, bear in mind that such treats are limited and you might have to wait some time before Ryousuke prepares the next batch! They might come a bit more expensive than your cheap Chinese restaurant’s offerings, but they are bigger and heads and shoulders above in texture and taste! They are full of beautiful juices and the bite excellent! The perfect snack to go with a Golden Pale Ale by Aoi Brewing! Will never tire of them for sure!